Discover the special offers available at caen you escape. An event, a special occasion, we’ll be with you! Birthdays, stag parties, hen parties, you want to celebrate an event with your friends? Caen You Escape will make your occasion a very special event, for groups of more than 6 people. Seminars, team-building, corporate events. Do you want to test cohesion and team spirit in an original game? Discover Caen You Escape’s made-to-measure offers for your firm. Caen You Escape offers the possibility of sole occupancy of the premises for your special events. Call us to talk about your plans.  Caen You Escape combines forces with Effet Anne to offer you a very special day focussed on Games. 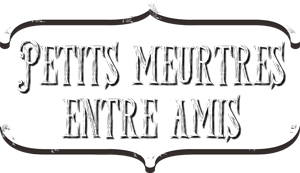 Located just a short distance from Caen You Escape, Effet Anne’s ‘Little Murders Among Friends’ offers a unique Murder Party experience. The ideal opportunity to discover 2 amazing, complementary game universes! The Caen You Escape team welcomes you from 10 a.m. to 10 p.m. from Tuesday to Sunday. We are located in the town centre of Caen, a stone’s throw from the Marina and close to the castle.